So, you’ve got your website up and running. Now it’s time to add content for your audience to engage with and to read. But, before diving in head first, you’ll want to take a step back and establish a plan first. Before writing your next article, consider what you’re hoping to accomplish with your blog or website. Are you wanting to simply write for fun and nothing more? If this is the case, more power to you, have fun and enjoy every minute of it! But, if you’re like me, you’ll want to see some real financial return for all that hard work. So where do you begin? First you should establish your goals. It’s important to understand the difference between working on something and working toward Having an intentional focus on each task that’s working toward a clear goal is what will make the difference to your success. Your success depends upon focusing your attention on things that matter, rather than staying busy with things that aren’t directly achieving your goals. So, how can you have this intentional focus? Your goals must be specific, measurable, attainable, relevant, and timely. For more on this topic and each of these points, you’ve got to take a quick look at our article on Smart Goals: Stay Focused on What Matters Most and Reach Your Goals. increase my brand awareness by joining 1-2 new social media platforms this month and having a strong presence on each. Now make a list like this and be as specific as possible. 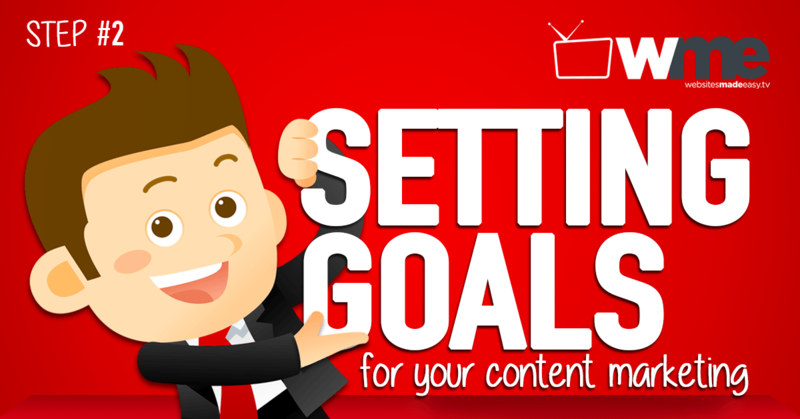 You should select goals that will achieve a huge win for you and your site. Be smart about your goal setting for each month and really stick to it. Once you’ve listed your goals out, begin organizing them in order of importance. Keep in mind the overall goal of your website or blog. How does each goal align with your overall strategy and how important is each for achieving future success. You should focus on objectives that will increase the bottom line of your business. Your goals should all be ambitious so as to encourage you to work your hardest, but they should also be practical. This is a huge step that many don’t get right. And to be honest it can be difficult. It’s important to be equally ambitious, yet also so self-aware to know what your strengths are and what you are capable of achieving. It’s one thing to aspire for something amazing. But we are hoping to be very concrete, specific, and practical in our goal setting. We may have overarching goals to..
You name it. But, the goals we’re hoping to set for this exercise must be more concrete and specific steps toward our overall goal in life. On their own, none of these objectives will make you rich overnight, but it’s this process that will increase your business step-by-step. What we do know, however, is that these goals will help.. Encourage more to take action on your offers, which ultimately leads to more sales. Ready to start creating content? Before you actually start typing away, you’ll need to do one more thing before you begin..
Great stuff. Thanks for sharing such a important article.